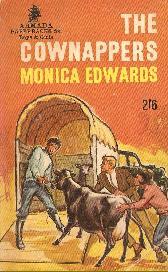 Because there is a wealth of biographical information about Monica Edwards on both the internet and in books, I will provide just a brief summary of her life here. Instead I will concentrate more on providing information about the books themselves in term of plot and the amount of equine content in the books. For more general information please consult the Monica Edwards website. 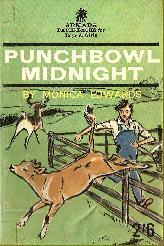 Monica Edwards was born in 1912 in Derbyshire. When her father was appointed as vicar to Rye Harbour the teenage Monica and her family moved there. This location was to provide a backdrop for her Romney Marsh series. After her marriage she bought a derelict farm which was to become the setting for her Punchbowl Farm series, and also the subject of many autobiographical books. 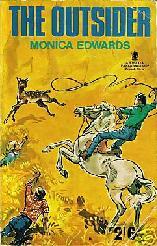 For many, Monica Edwards is not considered a pony author at all. In fact literary criticism tends, rather harshly in my opinion, to relegate those of her books which are more pony-orientated to the status of lesser works. However ponies do play - along with the sea in the Romney Marsh books, and the farm in the Punchbowl series - an important role in most of her novels. Her first two books are the most quintessentially 'pony' of all her novels; they may not have the depth and insight of some of her later works, but they are still very well written and charming children's pony stories and are well worth a read. 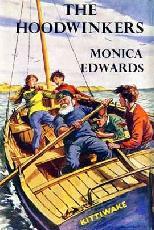 Monica is famous for two continuing children's series: The Romney Marsh series which is set by the sea and centres upon friends Tamzin and Rissa and The Punchbowl Farm series which is set on a small working farm and follows the fortunes of Lindsey and her family. Other important characters include the two boys Roger and Meryon who provide, in the later books, a love interest for Lindsey and Tamzin. The two series often overlap with characters from each series appearing in the other. Amongst these two series are some of the author's most critically acclaimed work. Although ponies appear throughout these series, some of them have very little equine content and I have tried to indicate the level of such content in each book. 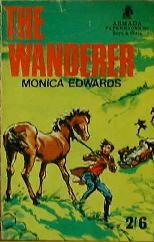 Monica Edwards also wrote two stand-alone pony stories for older children, one a career novel about a girl working with horses, the other the adventure story of a group of children involved with a missing racehorse and runaway stable boy. 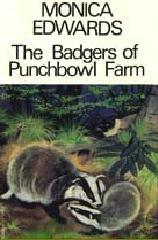 She also wrote many autobiographical works about her life and the animals on the real life Punchbowl Farm. Other non-pony works include Joan Goes Farming, a well-written career novel about a girl learning to work on a farm, and Killer Dog, a story about working farm dogs, which has very slight pony content. 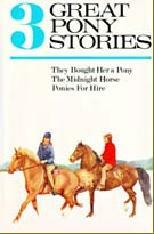 Monica also wrote quite a few short stories, many featuring ponies, which appeared in various annuals and compilations. I have included all the horsy ones below. 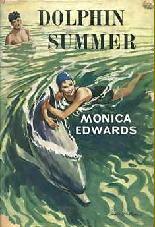 Many Monica Edward's books are rare or very rare, but luckily for collectors, publishers Girls Gone By have been reprinting most of the harder to find titles in paperback with the original text and illustrations. Some of the first editions are extremely hard to find and may be very costly. The author was also lucky in having an array of excellent illustrators for her books including Anne Bullen, Joan Wanklyn and my personal favourite, Geoffrey Whittam (see right for examples of his work). Probably the author's most popular series. Some of the books are very highly acclaimed from a literary viewpoint. The stories begin with a pair of horse mad young girls, Tamzin and Rissa, but these two are joined later by two boys, Meryon and Roger, and there is also a growing although under-stated romance between Tamzin and Meryon. The sea and boats are featured as much as ponies in this series, and in some actually overshadow the pony content. For complete publishing history for all books in the series see the Monica Edwards website. I have provided an overview. Reprinted many times in hardback and paperback. 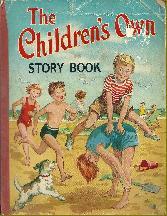 Some notable editions include the Childrens Press hardback which is very commonly seen, the Collins Pony Libray edition (no. 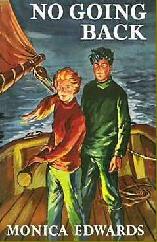 1) which was a pictorial hardback and the 1960s Armada paperback edition with cover by Mary Gernatt. 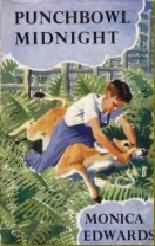 There were also foreign editions and a revised hardback edition published by Goodchild. EDITIONS PICTURED: 1st edition, Collins hardback reprint, Children's Press edtion, Armada paperback. SUMMARY: Possibly the nearest to a traditional pony book of all the author's novels. Tamzin and Rissa live by the sea at Romney. Although they love the sea and boating, they are also pony-mad, though unfortunately pony-less. When a riding stables opens nearby it may be that the pair's wish for a pony can come true. Reprinted in hardback a number of times by Collins including the Collins Seagull Library edition which is probably the most commonly seen. Reprinted in paperback by Armada with Mary Gernatt cover. A fairly easy title to find. EDITIONS PICTURED: 1st edition, Collins Seagull Library edition. SUMMARY: Tamzin shares her pony Cascade with Rissa, but Rissa still longs for a pony of her own. When the girls get mixed up in the smuggling antics of their friend Old Jim and some of the other local fishermen they make the difficult decision to keep the secret from the authorities. The publicity from the smuggling brings a film director to the area who hires the girls and Cascade as extras, giving them enough money to buy a pony for Rissa too. Reprinted in hardback by Collins, Vanguard and Goodchild. 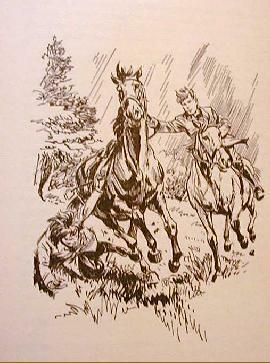 It was also part of a 3 in 1 volume edition entitled THREE GREAT PONY STORIES published by Collins and containing two other pony stories (see below for more details of this). As far as I know a paperback edition was never produced. Quite a hard title to find. The 3 in 1 volume may be the easiest to get hold of. SUMMARY: The girls meet Meryon and Roger, two boys who will feature heavily in their lives throughout the series. Together they try and solve the mystery of the Midnight Horse and plan to buy a pony for Tamzin's little brother Diccon. Reprinted in hardback by Collins and Goodchild. 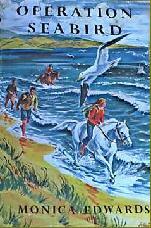 There were also a number of Puffin paperback reprints which are by far the easiest editions to find. One of the easier titles to get hold of, in paperback at least. SUMMARY: When developers threaten to take over land on the marsh, Tamzin, Risssa, Meryon and Roger, together with the Merrows from a nearby farm, hatch up a plan to re-enact a ghostly legend to scare them off! There were a number of hardback editions including a Children's Book Club edition, a Collins Pony Library 1970s reprint and a Goodchild later edition. There were also paperbacks published by Collins and Arrmada. The Armada paperback is the easiest edition to find. Of the hardbacks the Collins Pony Library is the easiest. However in general not one of the easier titles. SUMMARY: The girls set out to rescue a cargo of horses who have a bleak fate awaiting them. Reprinted a couple of times in hardback by Collins and by Goodchild. There was also a Children's Book Club edition. There was no paperback edition until Girls Gone By republished it in 2006. Although the Girls Gone By edition can be found without too much trouble the other editions are very elusive. Reprinted in hardback by Collins and in paperback by Puffin. There was also a more recent paperback edition published by Girls Gone By in 2005. The older editions are hard to find. SUMMARY: Lindsey Thornton from the Punchbowl Farm series makes an appearance as she comes to stay with Tamzin. However the girl's holiday is marred by a terrible storm which strikes with devastating consequences. Both Lindsey and Tamzin find their courage strained to the limit as they both face personal fears. PONYMAD VIEW: Very little pony content in this story, but a very good story nonetheless. The storm was based on a real life event in Monica's life which profoundly affected her. 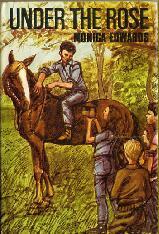 Reprinted in hardback by Collins and as part of the Collins Pony Library series in the 1970s. There was also a Children's Book Club edition. Paperback editions include the 1960s Armada edition and the 2006 Girls Gone By reprint. 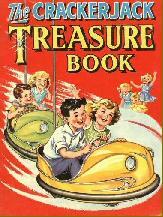 The book was also serialised both in a magazine and on BBC radio in the 1950s. One of the easier titles to find. SUMMARY: The four friends find their plans to camp on Castle Farm are scuppered by the outbreak of foot and mouth disease. However they come up with an ingenious method to disinfect themselves and join the Merrows in protecting the farm against intruders who may bring the dreaded disease with them. Recently reprinted by Girls Gone By in paperback. The book was also serialised in The Young Elizabethan Magazine and as a BBC radio serial, both in 1955. The Girls Gone By edition is the easiest to find, others are quite rare, especially the first edition. EDITIONS PICTURED: 1st edition, Armada paperback edition. SUMMARY: The local fisherman are incensed when French poachers begin to steal their fish. Tamzin comes up with the idea of disguising Jim's old fishing boat as a legendary ghost ship and scaring off the poachers. But things are not quite as they seem and their plan goes awry - until an unlikely saviour steps in to save the day…. Children's Book Club edition, and also another hardback edition published by Chivers. Recently reprinted by Girls Gone By in paperback and still in print at the moment. Other editions are rare. SUMMARY: When Tamzin and Rissa discover that oil pollution is killing local seabirds they form The Seabirds Rescue Society in order to help the plagued birds. 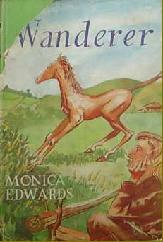 There was a later hardback edition published by Goodchild in the 1980s. Recently reprinted by Girls Gone By in paperback and still in print at the moment. Other editions are harder to find. SUMMARY: Tamzin and her friends start a local newspaper in order to raise money to help their friend old Jim, when he (as is his wont) gets into trouble. They find themselves with a scoop on their hands when a pair of rare hoopoe birds appear on the marsh. Reprinted in hardback by Collins. Recently reprinted by Girls Gone By in paperback, no longer in print but still the easiest edition to find. SUMMARY: This instalment concentrates mainly on Tamzin and Meryon's growing feelings for each other, and how this affects their other friends, Rissa in particular. Can the children retain their friendship at the same time as acknowledging they are growing up? Things are complicated further by Old Jim getting up to his old smuggling tricks: this time corpses and coffins are involved! Children's Book Club edition appears to be the only hardback reprint. SUMMARY: Old Jim is up to his usual tricks and has been hoodwinking American tourists by showing them a spurious 'ancient' ship. When real ancient ruins are discovered under the sea the children try to persuade their friend to take the tourists there instead as an honest alternative! Children's Book Club edition appears to be the only UK hardback reprint, although there was an American hardback edition published in the 1970s. Armada paperback edition (abridged) published in 1966. When a dolphin appears in Dunsford Bay and rescues Tamzin from drowning, it forms a special relationship with her and returns with its mate to swim with her. But the dolphins' presence attracts a crowd of sightseers which threaten the peace of the place, and even worse, the owner of a sea life centre wants to capture the friendly dolphin. 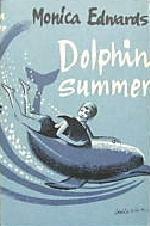 Tamzin and her friends struggle to try and hide the dolphin but soon discover that they may be harming the very animal they are trying to protect. As Meryon commits himself more deeply to Tamzin in his attempt to protect the dolphins, it is actually the rogueish Hookey Galley who saves the day! 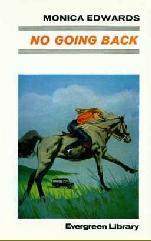 PONYMAD VIEW: One of the best books ever written (in my opinion!) about both the relationship between human and animal and the difficulty of balancing an attempt to protect wild animals whilst keeping them wild. 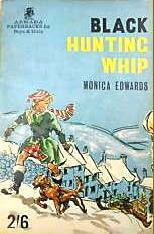 Monica also explores a similar issue in her later book The Wild One, which is also a superb novel (see Punchbowl Farm section for more details). The only reprint is a much awaited Girls Gone By paperback edition very recently published and still in print at the moment. The first edition is extremely rare indeed. Reprinted in hardback by Collins in 1972. 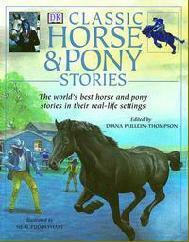 Containing two other pony stories (Joanna Cannan's They Bought her a Pony and Margaret MacPherson's Ponies For Hire) as well as The Midnight Horse. Has original illustrations (except frontispiece) and original text. For specific information see individual titles. 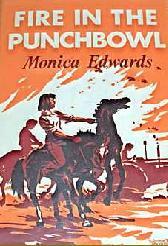 Unlike the Punchbowl series not many of the series were reprinted in paperback until the recent Girls Gone By reprints. Almost all the first editions are very hard to find and may be quite expensive. The first book is the easiest to find as it was reprinted many times. Storm Ahead and The Nightbird are probably the hardest to find. However the series is a lot easier to collect than previously due to many of the books being recently reprinted in paperback by Girls Gone By. In general, the series is a lot harder to find outside of the UK, especially in the USA where some titles can be very expensive. 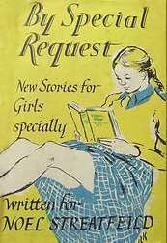 Those titles published by Girls Gone By which are still in print can be bought new by American readers; however if you are a US collector, probably the best bet for second hand copies is to buy from ebay UK. Another popular series. 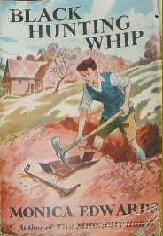 The first book is more of a prequel to the rest of the series and is not set on the farm of the series title. 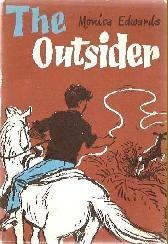 However the other books follow the adventures of the Thornton family, in particular Lindsey and brother Dion, as they cope with ponies, wild animals, farming problems and of course growing up! Reasonably easy to find, the Seagull edition is probably seen the most. 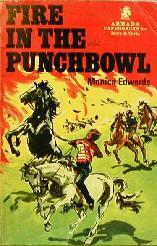 SUMMARY: Like the first in the Romney Marsh series, the first in the Punchbowl series is a traditional pony story. Actually it is more of a precursor to the rest of the series than part of it., for it stands alone from the other books in a number of ways. 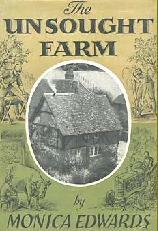 Firstly as it concentrates on events which happened before the Thornton family bought the farm, secondly as it is told in the first person by Lindsey (whilst the rest of the series is told in third person) and lastly as the children's ages differ in this book, Dion actually being younger than Lindsay here, although he becomes older in the rest of the series. In this story, Lindsey and her brothers and sister embark on a horse drawn caravanning holiday with their father and their two ponies. 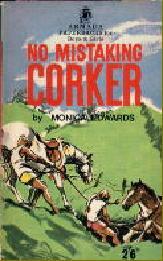 When Corker, the horse pulling their caravan, disappears they find themselves drawn into a number of exciting adventures. The title of the book is purposefully ironic: as the identity of Corker is constantly questioned! Paperback editions include one by Scottie books in 1950s with cover art by Mortelmans, and the 1960s Armada paperback with the Mary Gernatt cover. 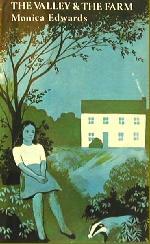 Most recently reprinted in paperback by Girls Gone By, this edition in print. SUMMARY: The first in the series proper. In a storyline based firmly on the author's own life, the family buy a derelict farm near the Devil's Punch Bowl in Surrey and name it Punch Bowl Farm. Dion is immediately attracted by the farming life and is to become almost obsessional about it throughout the series. In this story, whilst clearing out rubbish, the children find an old diary. In it they learn the story of an ill-treated boy who was devoted to his horse. When they find that he was prevented from winning a coveted hunting whip at a show, they determine to win a similar competition in order to pay respect to his memory. 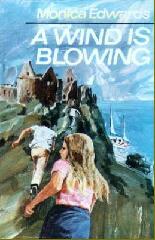 There was a paperback reprint by Armada in the 1960s. EDITION PICTURED: Armada paperback, Girls Gone By paperback. SUMMARY: Tamzin from the Romney Marsh series is staying on the farm in this instalment. The children spend their time trying to protect a deer from being killed by locals. SUMMARY: Ghost of the past haunt the present in this story, and Lindsay tries to hold onto the past by preventing the destruction of the old yew tree. The paperback edition is fairly easy to find, although the hardbacks are a lot harder. SUMMARY: The naughty colt Chalice provides a wealth of problems as he escapes and leads the cows astray. 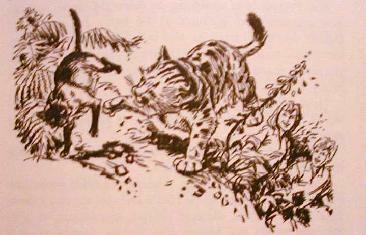 The children set out to capture him and a new animal joins their menagerie. Also a paperback reprint by Armada in the 1960s. A reasonably hard title to find, even in paperback. 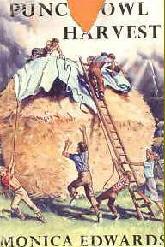 SUMMARY: The children struggle to get the harvest in before the weather breaks. Mostly farming-orientated. Paperback edition is quite easy to find. SUMMARY: The old diary from Black Hunting Whip reappears in this story when the children discover clues in it which could lead to a mysterious treasure. But hunting for it leads to disastrous consequences…. The Children's Book Club edition appears to have been the only hardback reprint. 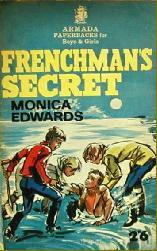 There was also a paperback reprint by Armada in the 1960s. Fairly easy to find, especially the Book Club edition. SUMMARY: Roger and Meryon and the girls from the Romney Marsh series appear in this story as they come to stay on the farm to help look after it while the Thornton parents are away. There is excitement as a stray deer appears on the scene and Lindsey's elder sister Andrea develops a crush on Meryon which Lindsey and Rissa attempt to discourage, fearing it may blight Meryon and Tamzin's friendship. 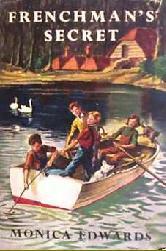 Reprinted in hardback by Collins in the Collins Evergreen Library edition. Also Children's Book Club edition. 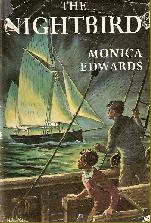 Armada paperback edition published in the 1960s. SUMMARY: Rissa and Roger visit the farm and begin to pair off with Dion and Lindsey. But growing romances are cut short when a fire threatens to devastate the farm. There is a German version charmingly entitled Ein Pumababy fur Pat. First edition is extremely rare and may be very expensive. SUMMARY: Roger and Rissa extend their stay on the farm into September in order to help with the aftermath of the fire which struck in the previous story. When Lindsey finds a puma cub on the farm she determines to go to any lengths to look after it and protect it from those who would kill it as a danger to the local livestock. Roger also finds himself going to extreme lengths to prove his devotion to Lindsey and both children are tested to the limits in their efforts to protect the young cub. But as the growing bond between girl and cub grows stronger, it is conversely the young cub who must save Lindsey from tragedy. PONYMAD VIEW: This is my personal favourite of all Monica's books, despite only having a little pony content, and is a truly insightful and moving book. 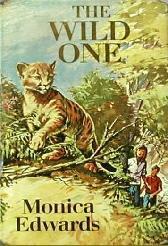 Perhaps the best children's book ever written about the relationship between human and wild animal. A must-read! SUMMARY: The book is included in this compilation along with Hildegard by John Thorburn, The Maltese Cat by Rudyard Kipling and other horse related items. Reasonably easy to find in the UK. May be harder elsewhere. For specific information see individual titles. 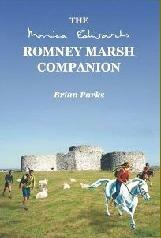 In general the series is easier to find than the Romney Marsh series. The paperback editions are for the most part not too hard to get hold of, though one or two titles may prove more elusive and more expensive. First editions will of course be harder and more costly. Until very recently the rarest title in the series was The Wild One which was rarely available for less than £100 a copy. However Girls Gone By have recently reprinted this in paperback and it is still in print at the moment for a far lowlier sum! The series is a lot harder to find outside of the UK, especially in the USA where some titles can be very expensive. Probably the best bet for American collectors is to buy from ebay UK, however The Wild One, being in print at the moment, can be bought from Amazon.com. Reprinted a number of times in paperback by Knight from the 1950s to the 1970s. SUMMARY: Labelled a 'career' novel and one of a series of fictionalised explorations of girls exploring different careers. In this story, Rennie is determined to pursue a career with horses despite ill health due to a horrific accident which killed her mother. She manages to break away from the overpowering care of her father and aunt and embarks on her new life working with horses. The only reprints are a Children's Book Club edition and a German version. Rare and may be expensive. SUMMARY: A bunch of children conspire to protect a runaway stable lad and a racehorse the lad is protecting from slaughter. In the UK these two books are at opposite ends of the rarity scale. Rennie Goes Riding is one of the easier of the author's books to find, in paperback at least, and is usually very cheap. Under the Rose is one of the rarest and may be expensive. Rennie is however a lot harder to find outside of the UK and Under the Rose may be almost impossible. Large print edition published in 1995 by Isis. Rare and can be expensive. The large print edition is still available in some libraries. EDITIONS PICTURED: 1st edition, large print edition. 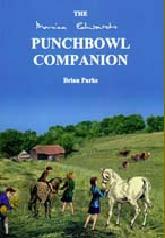 SUMMARY: Autobiographical account of how the author discovered and set up the real Punchbowl Farm, the inspiration for the fictional series. 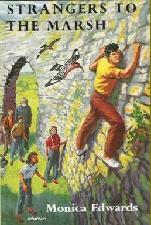 Large print edition published in 1996 by Isis. Also a German edition produced. Although not common, reasonably easy to find in both the UK and USA. The large print edition may be available in libraries. SUMMARY: Account of the various cats the author has owned; includes also general biographical information. Easy to find in the UK and usually quite low cost, quite a bit harder elsewhere, though not normally too expensive. EDITIONS PICTURED: 1st edition, Book Club edition. SUMMARY: Slight biographical information, the slant is more towards the observation of the badgers which lived around her farm. According to the Monica Edwards website, this was also serialised (abridged) in Woman's Realm magazine in 1971. Although not common it is reasonably easy to find on the internet, especially the Book Club edition, but shop around as prices vary enormously. The NEL edition is reasonably easy to find in the USA also. 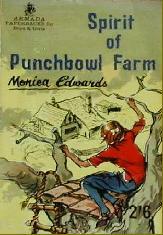 SUMMARY: Continuing account of the author's life at Punchbowl Farm. Reprinted in paperback by Sphere in 1978. By far the easiest of the autobiographies (and cheapest) to be found in the UK, especially the paperback edition. Harder elsewhere, though not normally too expensive. 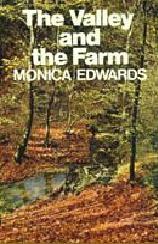 SUMMARY: Last of the autobiographical books, this title covers the period when Monica had to move out of her beloved farm and live in a nearby bungalow. It concentrates mainly on her study of the local badgers. Still in print. Can be ordered from booksellers or direct from the publishers. 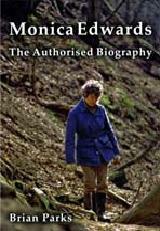 SUMMARY: Detailed biography by the writer who is perhaps the authority on the author and her works. For specific information see individual titles. The rarest by a long way is The Unsought Farm and this can be very expensive. Try libraries for the large print edition before spending your money! 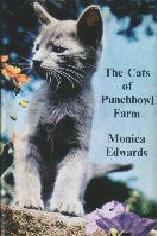 The Cats of Punchbowl Farm and The Valley and the Farm were also published in America and can be found there without too much trouble, the others were not and so can be a lot harder to find there. The Brian Parks biography is still in print. Revised edition published by original publisher in 2012? SUMMARY: Comprehensive guide to the series including book summaries, and character guides. Revised edition published in 2006. SUMMARY: Excellent and comprehensive guide to the series with book summaries, character studies and a detailed index. Also includes some biographical information about Monica. Both hard to find, the Punchbowl one extremely so. Can be expensive. They may be available in some UK libraries however. 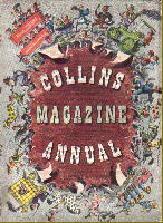 First appeared in the first edition of Collins Magazine itself and included in the first annual. The annual is fairly hard to find and can be quite expensive. 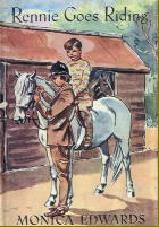 SUMMARY OF STORY: Bryony and elder brother Royston are left alone on the farm. When tragedy strikes Bryony must take charge as Royston is still recovering from whooping cough. First appeared in no. 11 of the Collins Magazine and included in the second annual. SUMMARY OF STORY: Quirky humourous story about a girl who is obsessed with drawing horses. Reprinted a number of times by original publisher. Reasonably easy to find in the UK at least. SUMMARY: The book is an anthology of short stories by various authors. 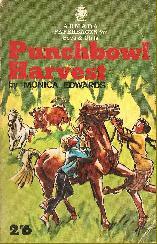 Monica Edwards' contribution is a horse story set in Ireland. When Bridget, a poor crofter's daughter, sees a horse come out of the sea and then return to the waves, she wonders if it could be a fairy horse. All the books in which the story appears are quite hard to find. 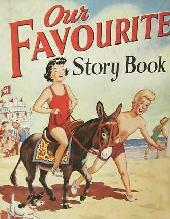 SUMMARY OF STORY: Charles and Mary rescue a foal in the New Forest. Reprinted a number of times. 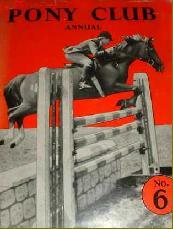 The Pony Club Annual is the hardest to find of these, very hard outside of the UK. The others are easy to find in the UK. Horse and Dog Stories in still in print and can ordered from the Cavalier Paperbacks website. SUMMARY OF STORY: Paul is saving up to buy a pony but it looks like it will take some time. When a friend's mare gets lost in a blizzard and has a foal, Paul goes to the birthplace of the foal to make a wish as instructed by an old countryman and finds something very surprising there…. 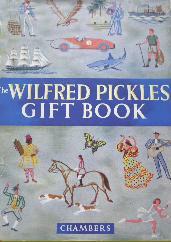 The Wilfred Pickles book is not common but can be found without too much trouble in the UK. Much harder elsewhere. The other two books are quite easy to find in the UK at least. SUMMARY OF STORY: John and Tess set out to save a pair of Champion farm horses. SUMMARY OF STORY: Charlie wants a pony to delivery goods from his mother's shop. The annual can be hard to find. SUMMARY OF STORY: Partly historical story. Susan's father tells her a tale about a crusader's horse. No illustrations in this edition. 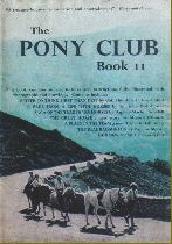 The Pony Club annual can be hard to find and possibly not cheap. 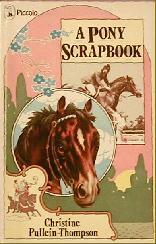 A Pony Scrapbook is much easier to find in the UK, although still reasonably hard to get hold of in the USA. SUMMARY OF STORY: Historical pony story set in Yorkshire at the time of the Civil war. Robin's father is a tenant farmer on the estate owned by Sir Robert Dudley. Robin loves Barbarossa, the huge farm horse owned by his father. But when Cromwell is recruiting horses for his cavalry, Sir Robert puts pressure on the family to sell their magnificent horse to the army. See above for more detailed information. A few of the older books can be hard to find, and extremely hard to find outside of the UK. Most however can be found in the UK with only a little trouble, although everything is a lot harder to get hold of elsewhere.